Created by Natalia Vodianova in collaboration with Oliver Echaudemaison, the Guerlain Exceptional collection is inspired by Shalimar. Lookee! 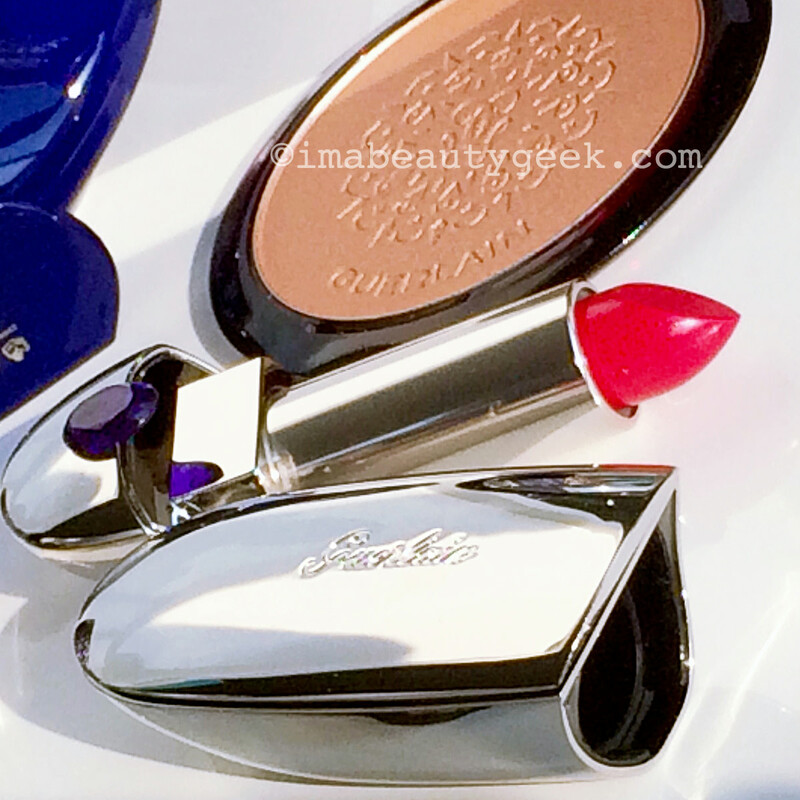 It&apos;s the Guerlain holiday 2016 makeup, inspired by the iconic fragrance Shalimar. Exotic yet absolutely wearable, it&apos;s shown on the two beauties in this Insta-snap (above) from Guerlain&apos;s international beauty artist Maxime Poulin&apos;s Instagram feed. More than simply inspired by Shalimar, this #GuerlainExceptional collection was in fact created by model Natalia Vodianova in collaboration with Guerlain&apos;s creative director Olivier Echaudemaison. "I wanted to name my first collection Shalimar, in homage to the fragrance I have been the face of for eight years and that symbolizes my link to Guerlain," says Natalia in the official press material. As well, a portion of the profits from the collection sales will be donated to The Naked Heart Foundation, established by Natalia. 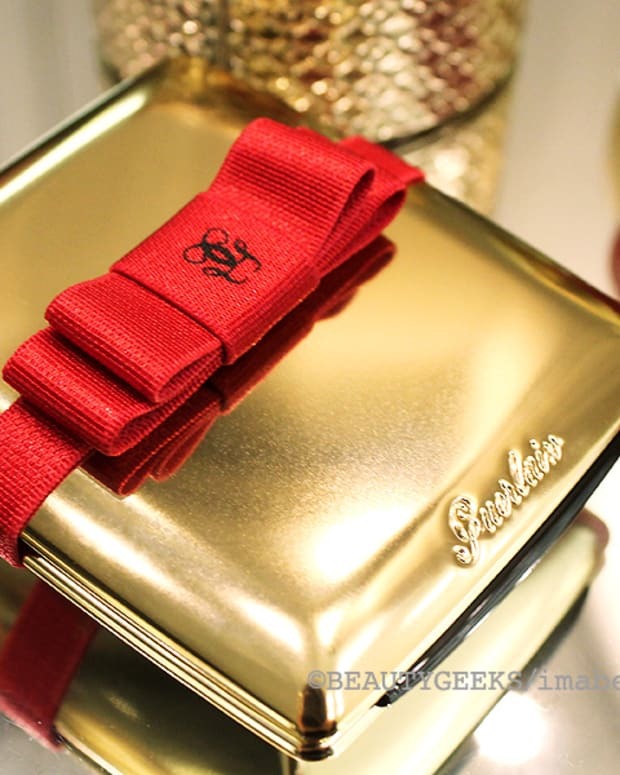 The Guerlain Exceptional holiday 2016 makeup range features Soufflé d&apos;Or de Shalimar ($105 CAD and maybe $95 USD, November 1st) perfumed iridescent body and hair powder in an atomizer bottle that echoes the curvy lines of the Shalimar flacon. A gentle pump of the dispenser emits a sparkling mist of gold that shimmers and twinkles hypnotically in sunlight – stunning. Natalia&apos;s tip: "As well as on my face and hair, I apply the powder to the backs of my hands and my wrists. That way, a subtle scent is exuded whenever I move my hands." 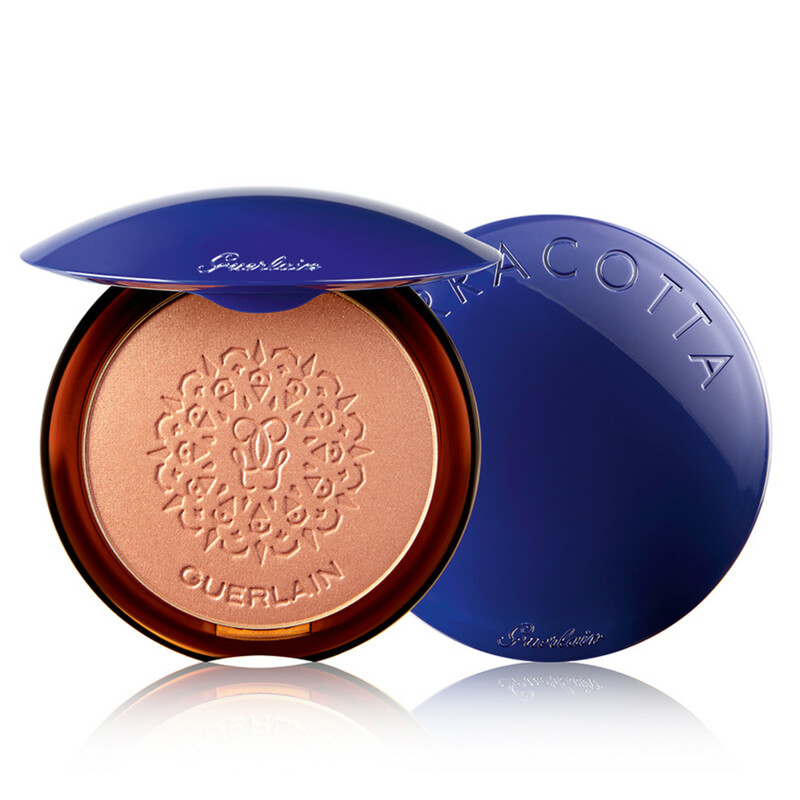 A delicately embossed bronzing powder, Terracotta Terra India ($64 CAD and maybe $56 USD, November 1), shimmers with gold – you want a more golden hue in the dead of winter, says Maxime Poulin, Guerlain&apos;s international beauty artist (he&apos;s worked with Natalia Vodianova), and our man of a thousand makeup tips. "Bronzer you wear in summer is too much for winter, too dark," says Maxime. 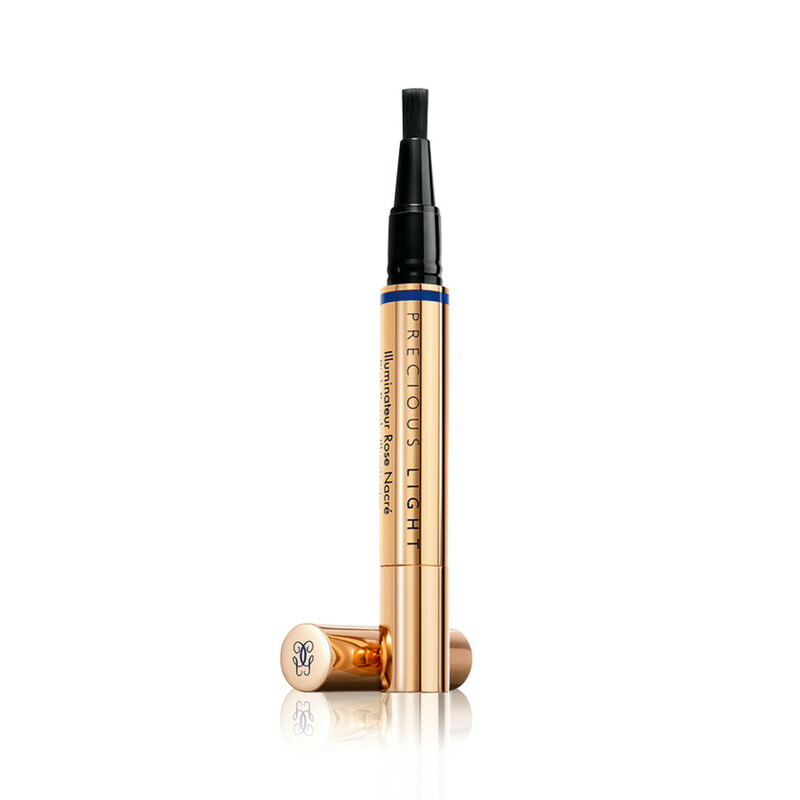 A shade with more gold is more flattering for paler skin in cold weather." I&apos;ma hafta re-shoot this Rouge G lipstick in 821 Rouge Saphir ($61 CAD and $54 USD, November 1), a wonderful, youthful bright red. This snap doesn&apos;t do it justice. In the opening photo, though, the lovely models in Maxime&apos;s photo are wearing Rouge Saphir beautifully. Oh wait, maybe this photo – below – will do? 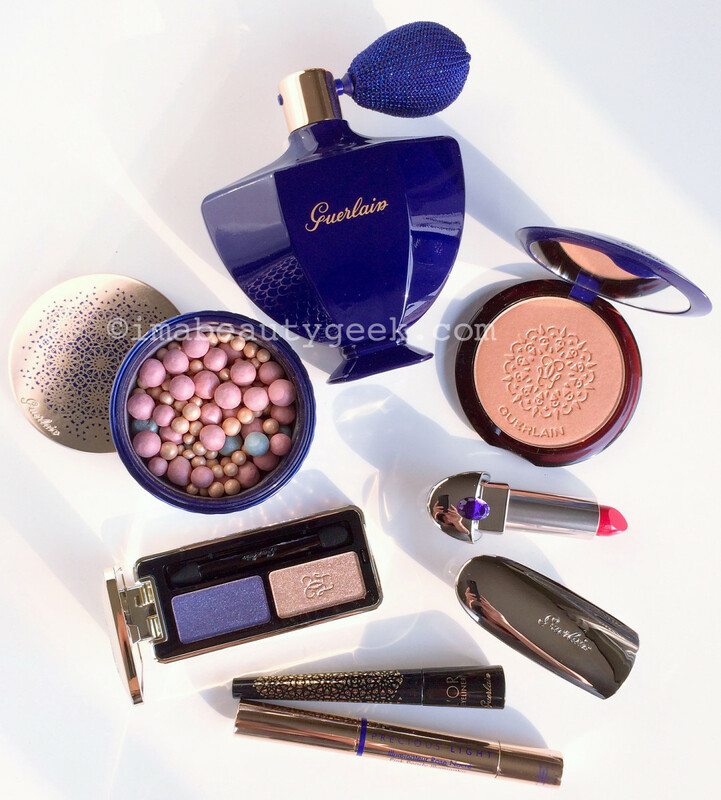 Natalia Vodianova, face of Guerlain and the woman behind this collection applies Rouge G lipstick in 821 Rouge Saphir. Isn&apos;t it a beautiful happy shade? Such a flattering blue red. Natalia&apos;s perspective: "The Rouge G jewel case and its integrated mirror have made this lipstick one of my must-have makeup products I always carry in my bag for easy touch-up moments." 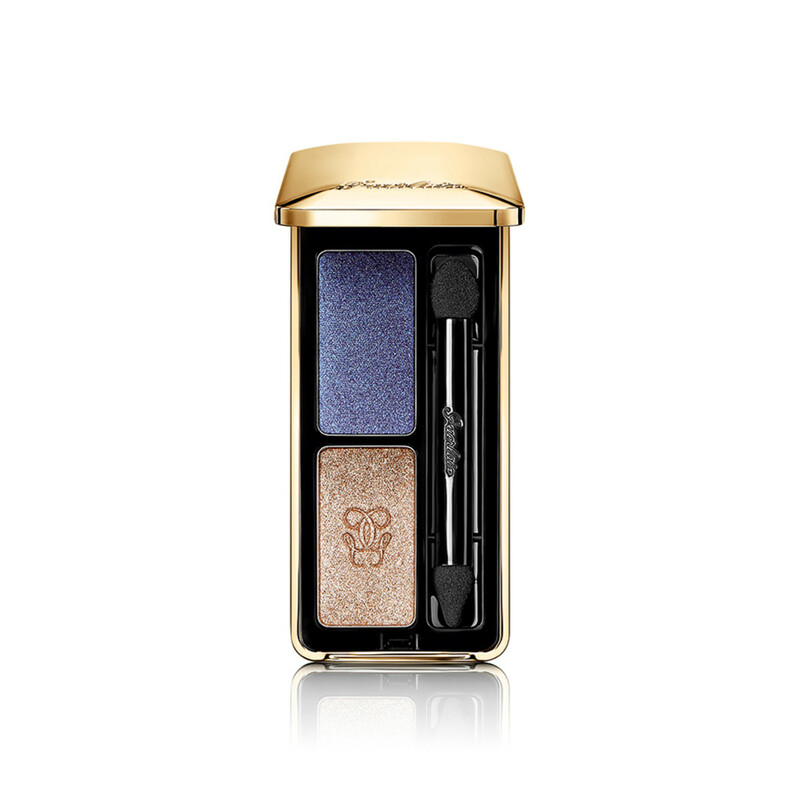 Lovelies, the Guerlain holiday Precious Eyeshadows in Gold and Sapphire ($51 CAD and maybe $45 USD, November 1) duo is so beautiful. 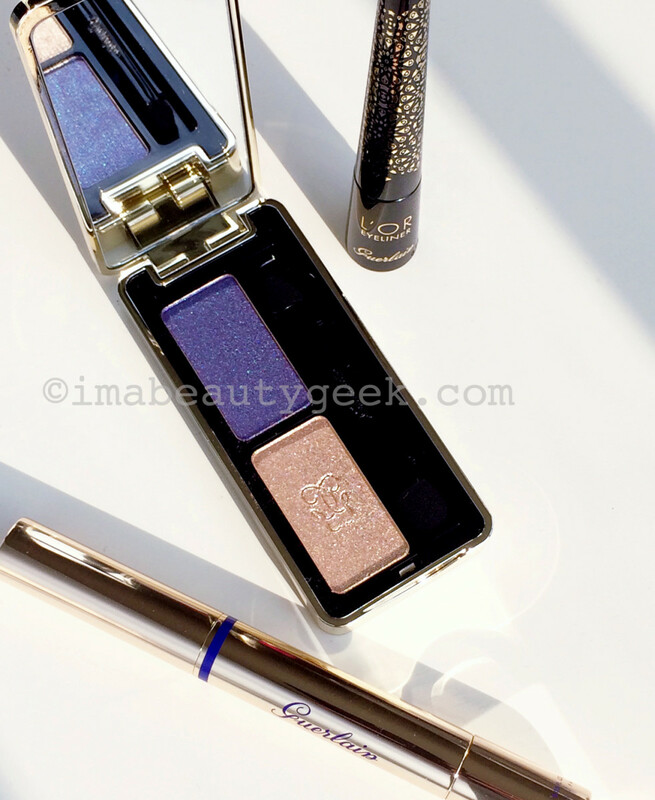 That iridescent sapphire shadow will look terrific with every eye shade, as will that gleaming gold. The formula is so nicely pigmented – you&apos;ll get a lovely colour payoff with a sheer wash as well as with a more intense application. Natalia&apos;s perspective: "For this case, I wanted highly metallic textures for an intense look. I was also inspired in the choice of the colours by precious metals and stones: gold and sapphire." 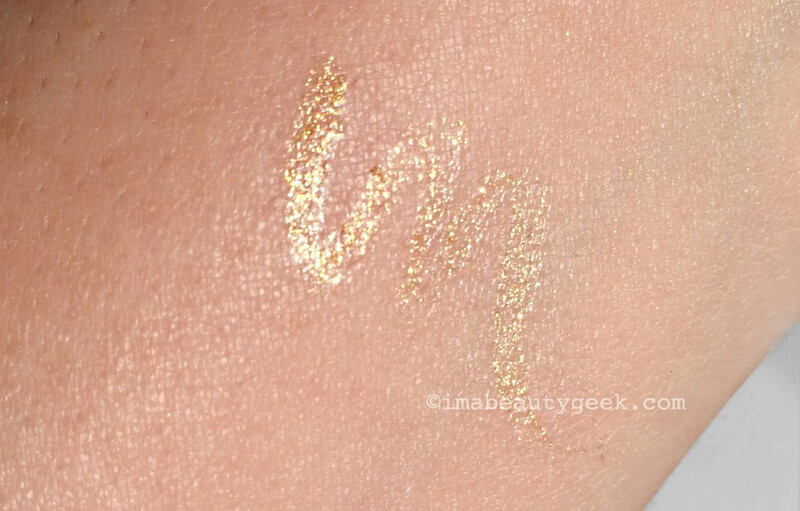 This is what the felt-tip Guerlain L&apos;Or Eyeliner in Sparkling Gold ($42 CAD and maybe $35 USD, November 1) looks like on my skin. Delicate and so pretty! 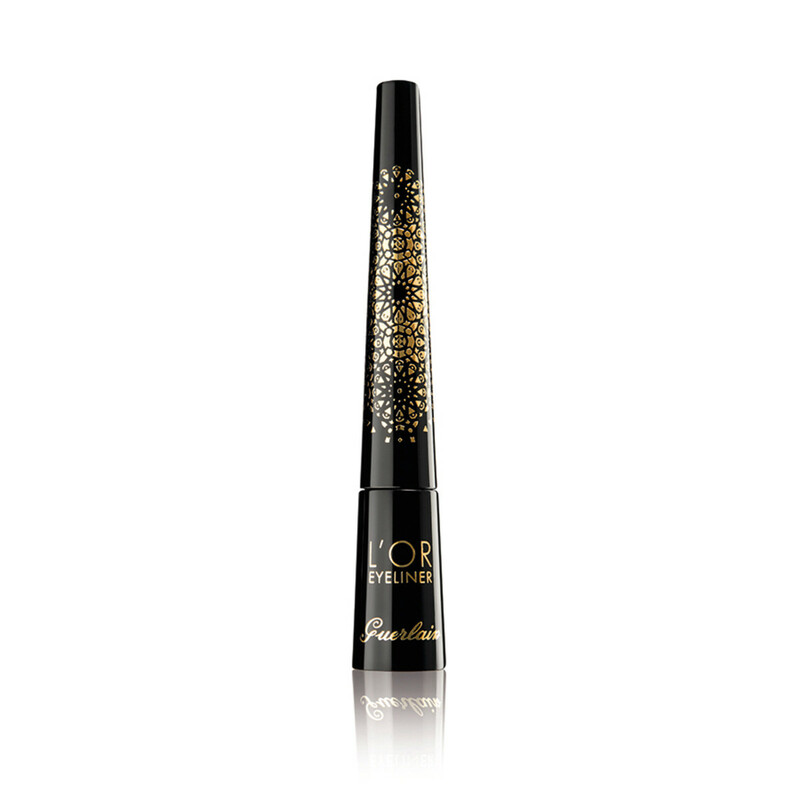 Easy to wear as an accent along lashlines on its own or with shadow. 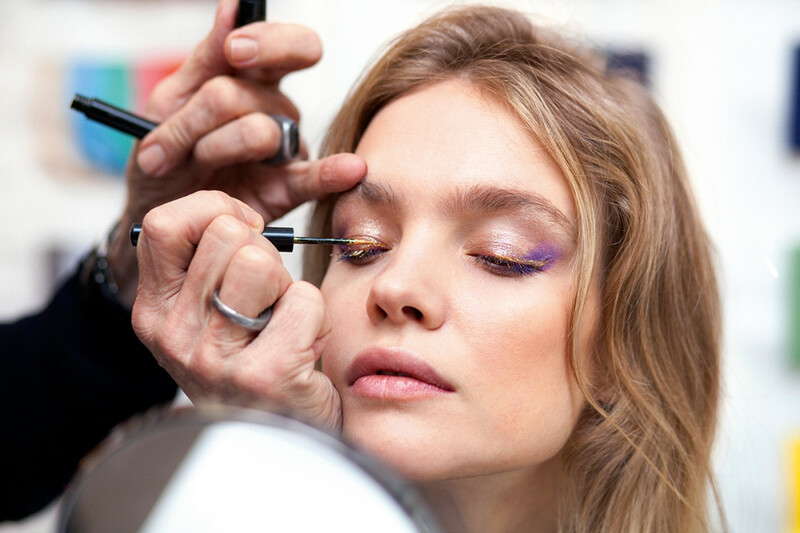 Natalia&apos;s tip: "Don&apos;t hesitate to apply a stroke of gold eyeliner on top of the eyeshadows in the collection; it really brings out my blue eyes!" 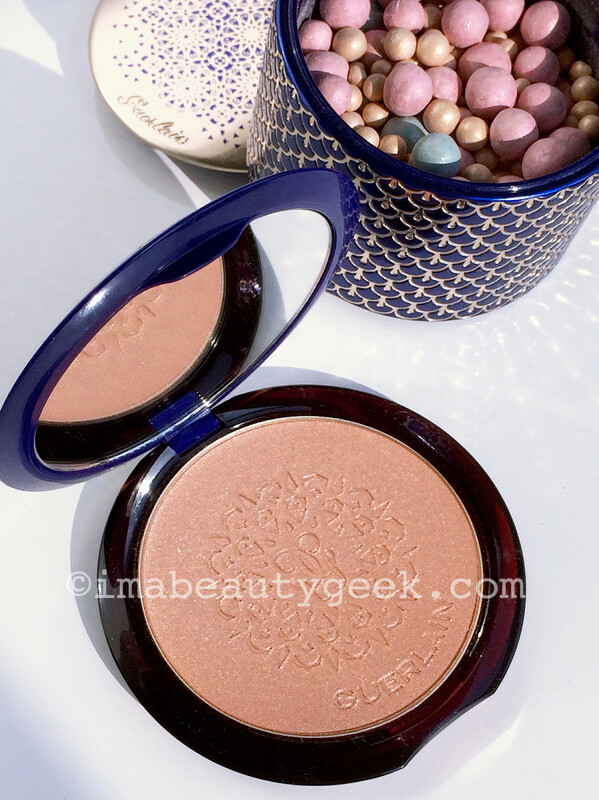 The Guerlain holiday 2016 Precious Light Pink Pearly Illuminator ($62 CAD and $52 USD, November 1) has a sheer rosy pink shimmer finish – it&apos;s a lovely winter-who? 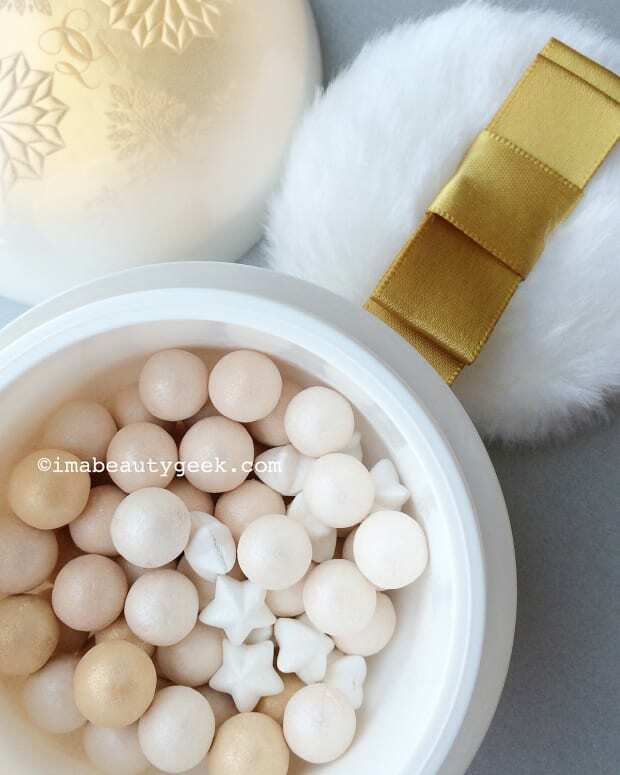 glow for skin. Swatch to come, &apos;k? Natalia&apos;s tip: "To illuminate your face, apply this shade to the cheekbones, the outer corner of the eye, the bridge of the nose and the cupid&apos;s bow." Natalia&apos;s perspective: "I specifically chose these three colours of beads because they remind me of the colours of the mosaics in Indian palaces. 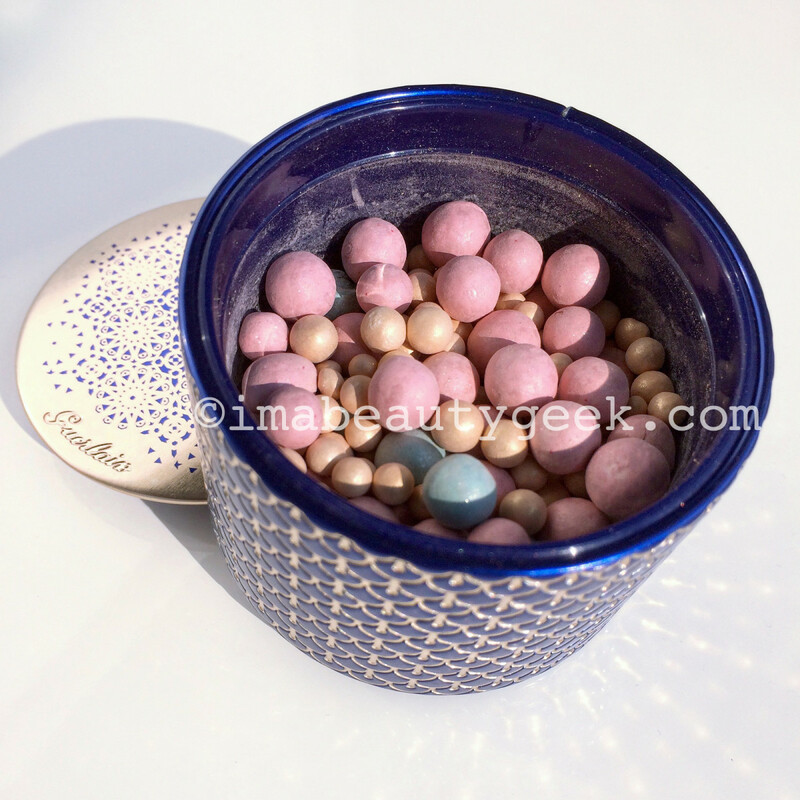 The pink pearls enhance the natural colour of the cheeks and the freshness of the complexion; the blue pearls correct an uneven skintone and dark circles; and the gold pearls warm up and illuminate the cheekbones." 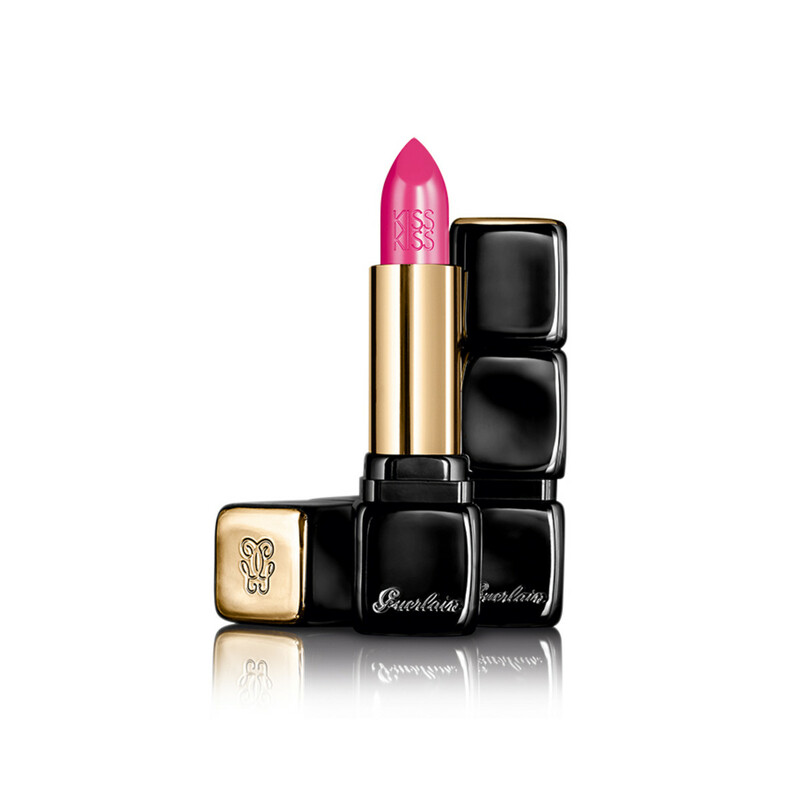 Also part of the collection is a #gimmethat Guerlain KissKiss Creamy Shaping Lip Colour in 563 Indian Pink ($43 CAD and $37 USD, November 1). "I sometimes use it on my cheekbones to heighten their colour," says Natalia. What do you think? Anything triggering #grabbyhands?